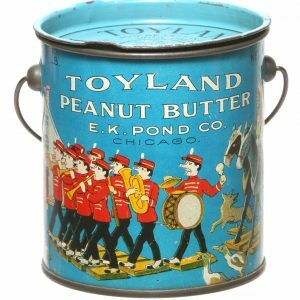 Unusual, early, miniature sample size pry lid tin for Pond’s Peter Pan brand peanut butter. 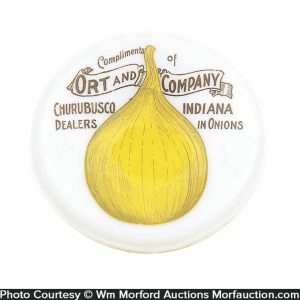 SKU: D14-194. 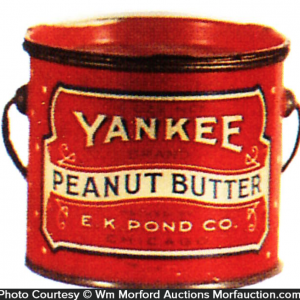 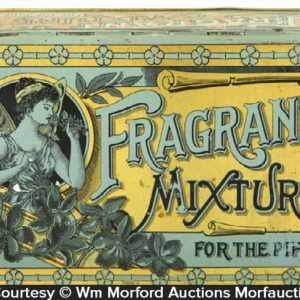 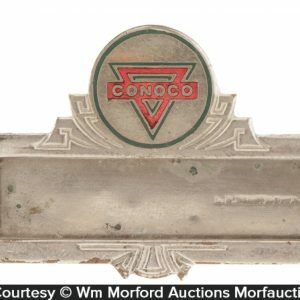 Categories: Antique Tins, Peanut Butter. 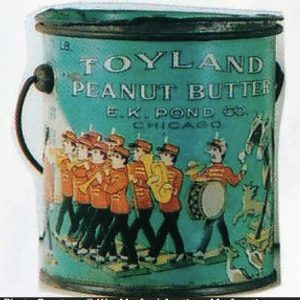 Company/Brand: E.K. 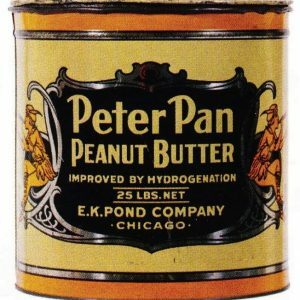 Pond Co., Peter Pan Peanut Butter. 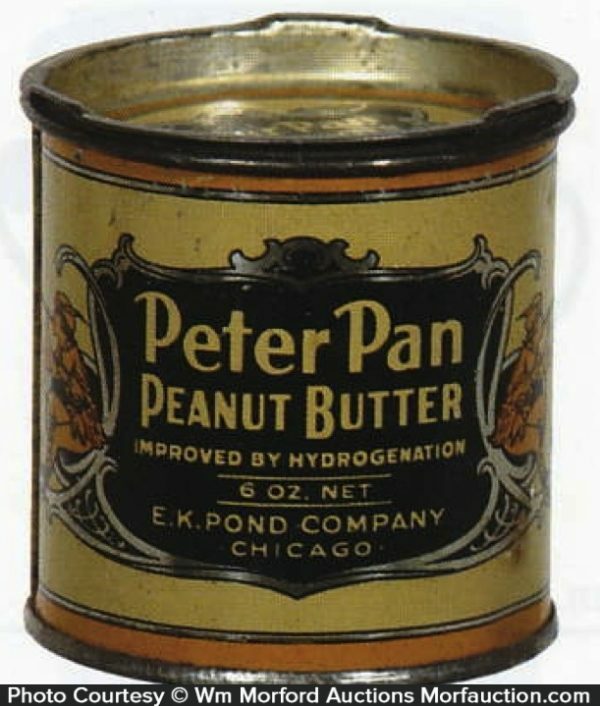 Miniature Peanut Butter Tin: Unusual, early, miniature sample size pry lid tin for Pond’s Peter Pan brand peanut butter. Clean and excellent appearance (C. 8++) w/ exception of some light scattered wear on lid.